Window frosting film is an excellent addition to your home or office windows. 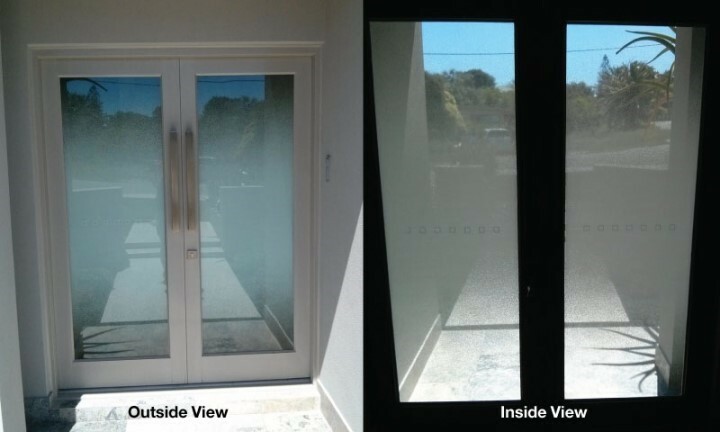 Not only does it offer increased privacy by helping keep prying eyes away, but with our decorative frosted window film, you could also add some design while you’re at it! Whether you’re after a floral or geometric pattern, your choice of designs are endless. 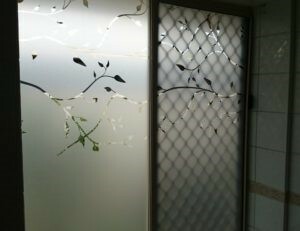 Frosted glass film still allows some light to pass through. This makes it perfect for bathroom or bedroom windows – as it allows you to maintain privacy while not impeding the entry of natural light. And in the office, frosted glass film with your or your employees’ names etched into it could help add a touch of class and sophistication. With a wide range of window frosting films available for you to select from, have your windows tinted by a 3M licensed installer. Speak to our expert sales team to find out more information or to make a booking for a quote.